Over the last three decades SMR Group has enriched Mangalore city by building world class residential and commercial projects in different prime locations. 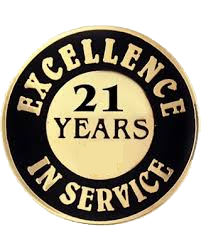 With 21years of experience in the field of construction of buildings, quality and craftsmanship go hand in hand for the SMR Group. Our reputation is built on customer confidence, perfection and innovation. Today SMR Group is among the most trusted builders with an impeccable reputation for excellence. Quality and an eye for detail are the hallmark of the SMR Group. A successful blend of corporate ethos and social responsibility, the SMR Group upholds professional excellence in all their activities, which are backed by an enthusiastic team, comprising of top Architects, Civil Engineers and Builders. SMR Group was established by Mr. S.M.Rasheed in 1975. S.M.Rasheed who started his career in 1975 by exporting Forzen Marine products, fresh fruits and other commodities to different countries and in same year started manufacturing of fishmeal & fishoil for both domestic and export market and in the year 1986 started importing timber from Malaysia for domestic market and started real estate business by residential layouts in prime locations in mangalore. Later in 1994 SMR Group made their foray into the building industry with an entrepreneurial spirit, talent, and a deep sense of commitment to community SMR Group began a home building company located in mangalore with the first project being “Zainaba Arcade”, at falnier named after the mother of S.M.Rasheed, the founder. The company has earned a prestigious status over a period of three decades, thanks to the ethical business practices. Today SMR Group is meant to be one of the most trusted real estate developers building world class residential and commercial buildings in mangalore.